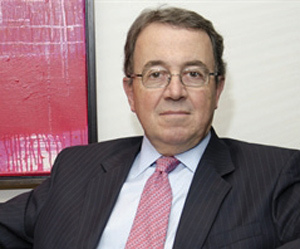 José Alberto Vélez is the president of Cementos Argos, the leader in the cement industry in Colombia, with operations in the Caribbean—Panama, the Dominican Republic and Haiti—and the United States. Global Finance: Cementos Argos does business in a number of countries. Where do you think the recent global crisis has had the worst impact, and how are things going now? José Vélez: We have felt this recent slowdown the most in the United States, where the decrease in both volumes and prices has made problems for almost every single player in the building materials sector. However, during the last few months we have seen a positive evolution in different indicators, which might suggest the beginning of better times in this country. For instance, during the first quarter of 2012, we registered positive growth in our cement and concrete volumes over the same period last year. On the other hand, in our operations in Colombia and the Caribbean the situation has been very good, even during the crisis. Overall, we could say that the last few years have been more positive than negative for Argos. This is one of the advantages of having a geographic diversification across countries with different economic cycles. GF: What is the economic outlook for Colombia and Latin America? Vélez: We are finally living this renaissance in Latin America, to the point that today this region has become one of the most interesting to invest in and has some of the highest growth prospects. In Colombia and some other countries the catch-up in infrastructure is taking place, with the goal of increasing competitiveness and efficiency. This represents a huge boon for our industry, since a majority of projects in the pipeline are intensive in cement and concrete. GF: Brazil is always a talking point in discussions of Latin America. What other countries in Latin America and the Caribbean look promising today? Vélez: No doubt Brazil is currently one of the most attractive economies and is definitely in the spotlight. Other promising stories in Latin America are Panama and Colombia. Both countries are experiencing an infrastructure boom with healthy finances and a stable political outlook. GF: What are the key risks for emerging markets over the next 5,10 and 25 years? Vélez: For emerging markets, namely Latin America and specifically our home base of Colombia, it is important to take advantage of the current situation without forgetting that cycles pass by. We need, as a region, to keep improving in competitiveness and efficiency in order to be well prepared for the future. In some years, Europe and the US will hopefully take the lead again in terms of economic growth, and we must be able to respond to market evolutions in the best way possible.